With its year-round mild climate, fantastic access to skiing trips in Andorra and a smorgasbord of cultural treasures, Barcelona is one of the top tourist destinations in the world. 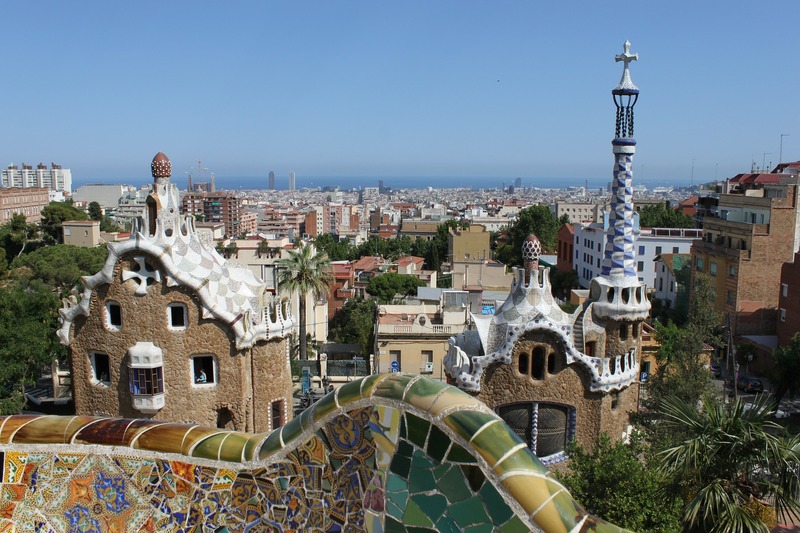 Whether you want to soak up the ferocious atmosphere of the Camp Nou, sip a coffee near La Sagrada Familia or experience the sensory sensations of La Rambla, Barcelona’s got something for everyone. As one of Nestpick’s top 10 cities for millennials, this tolerant and open-minded metropolis is an ideal destination for students, young professionals and families alike. The decision of where to live in Barcelona is an important one. Your room or flat in Barcelona should ideally be a convenient commute from your university, school or place of work, and also in a neighbourhood where you feel safe, comfortable and happy. Luckily, in Barcelona, you’re spoilt for choice. This informative guide will cut straight to the chase – showing you only the best areas to live in this glowing gem of a city. So without further ado, let us immerse ourselves in the cream of the Catalan crop. With welcoming village vibes and a distinctly Catalan character, Gràcia is arguably the most stylish and cinematic of all Barcelona’s districts. The neighbourhood offers a superb selection of bars, restaurants, designer shops and boutiques, while Antoni Gaudi’s surreal hilltop oasis of Parc Güell provides jaw-dropping views of the city. Sounds stunning, doesn’t it? Gràcia is ideally located, offering easy access to the city centre and a number of great schools for the little ones. However, you’ll feel a million miles away from the urban commotion once you’re settled in this enchanting community. In fact, such is the local pride that many residents here will say they come from Gràcia, not Barcelona. Nice single rooms and cosy doubles can be snatched up for €300 a month, whilst you can rent functional apartments for €500 a month, as well as more spacious ones for €800 per month. Traditionally one of the cheapest neighbourhoods to live in Barcelona, this noticeably medieval area is getting increasingly popular with the hip crowd. Together with El Raval and Barri Gotic, it forms the old town of Barcelona. Check out the beautiful Santa Caterina food market with its incredible mosaic roof. For a sweet surprise, be sure to visit the Museum of Chocolate. To burn off all the chorizo and cocoa, visit the nearby Parc de la Ciutadella for a pleasant Sunday stroll. The most affordable single rooms start at €250 per month, but bigger spaces in shared flats can set you back up to €700 per month. Entire one-bedroom flats, such as lofts with terraces and spacious studios, usually sit between €450 and €700 per month. For Barcelona’s ancient standards, the cosmopolitan district of Eixample is the new kid on the block. Constructed in the 1850s in a precise grid system, Eixample is Catalan for ‘extension’ – and certainly offers a lot more space than the cramped streets of Ciutat Vella (the Old Town). With wide avenues and square blocks with visually-pleasing chamfered corners, this charming barrio is unlike anywhere else in Europe. Living here, you’ll be able to marvel at the amazing architecture that has long inspired visitors and residents alike. Gaudi’s illustrious influence is crystal clear, especially in the dazzling centrepiece of Barcelona: the towering La Sagrada Familia cathedral. And the architecture is only the tip of the iceberg. Eixample is home to a number of thriving restaurants, bars, nightclubs, outdoor cafes and tapas joints. What’s more, you’ll be spoilt for choice when it comes to shopping. Whether you’re after vintage vinyl, boutique trinkets or designer brands from Rambla de Catalunya, Eixample’s got you covered. You can rent private rooms in shared flats for around €200 per month and studios for as little as €475, making Eixample one of Barcelona’s most affordable places to live. Known locally as Barri Gòtic or simply Gòtic, the Gothic Quarter is the most historical and picturesque neighbourhood in Barcelona. With a castle, medieval monuments and Roman ruins, the neighbourhood certainly carries a regal charm. The Gothic Quarter’s labyrinthine streets are packed with character and an abundance of charming cafeterias, while the bustling plazas that surround them are brimming with the sights, sounds and smells of Catalunya. Single rooms in shared flats start at around €270 per month and can exceed €1000, but the average price for private rooms is around €400. For entire flats, you should expect to pay between €500 and €1200 for a basic, comfortable place. One of the city’s hippest neighbourhoods, multicultural El Raval is coveted as one of the best places to live in Barcelona. Expect to be greeted by an on-trend café and bar scene, a lot of young neighbours and a chilled out, student vibe. While El Raval has a reputation for being dangerous, the area is gentrifying and crime levels are decreasing – making it increasingly popular with the cool crowd. Notable attractions here include the Barcelona Museum of Contemporary Art and the world-famous La Boqueria public market and the cavernous Moog nightclub. Basic rooms start at around €300 a month, and entire one-bedroom apartments, lofts and studios cost from around €600 per month up to €1200 for the more spacious or luxury places. Bordered by Eixample, El Raval and Ciutat Vella, El Poble-sec is a bohemian neighbourhood that’s often overlooked by tourists. Despite its attractive location, this alluring barrio is still something of a local affair. Nibble on pinchos, sip vermouth and hop from trendy bar to trendy bar. Streets like Carrer del Parlament and Carrer Blai are especially lively and offer staggeringly affordable prices for food and drink, while the Sala Apolo is one of the best nightlife hotspots in Barcelona. Monthly rent in El Poble-sec can be as low as €250 for a private room, and around €650 to €800 for a studio or apartment. Close to the beach and a whole host of top sports facilities, Sant Martí and El Poblenou are popular with surfers and those who enjoy an active lifestyle. Combining modern, spacious apartments with access to the sea, these up-and-coming areas offer a fantastic quality of life. The botanical majesty of Sants-Montjuïc is the perfect place for a spot of exercise in the Catalan sun. This residential district is filled with luscious greenery and is also home to former Olympic sports facilities. The similarly stunning Horta-Guinardó offers some of the best views of the city, and is a peaceful retreat from the hustle and bustle. The former fishing community of La Barceloneta is something of a hidden gem – offering a great location, access to the beach and reasonable rent to boot. Be sure to try out the incredible paella on offer here – you won’t be disappointed!